More than 80 physicists from around the world will converge at the lakeside village of Skaneateles in Central New York for a weeklong scientific conference. Known as PAVI 14, the conference will address recent breakthroughs in modern nuclear physics, with emphasis on parity violation and Hadronic structure. PAVI 14 will take place at various venues, including the Stella Maris Retreat and Renewal Center, July 14-19. 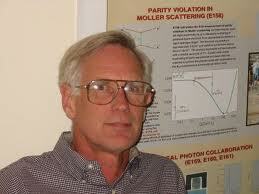 Among the highlights of PAVI 14 will be a lecture by Gordon Cates, professor of physics at the University of Virginia (UVA), titled “How Exploring Basic Science Leads to Unexpected Technology.” The lecture is Monday, July 14, at 7:30 p.m. at the First Presbyterian Church of Skaneateles (97 E. Genesee St.) and is followed by a reception, catered by the Sherwood Inn and sponsored by Welch Allyn. To R.S.V.P. for the lecture and reception, contact Kelley M. Huttar at kelley.huttar@welchallyn.com or 315-685-4300. Middleton is confident that Cates’ lecture will appeal to scientists and lay people alike. That new instruments and technologies are creating enormous potential for other sciences, as well as many practical applications, makes the topic timely, he says. In addition to Syracuse University’s physics department, PAVI 14 is co-sponsored by the physics department in UVA’s College and Graduate School of Arts and Sciences; the Thomas Jefferson National Accelerator Facility (a.k.a. JLab) in Newport News, Va.; and the Helmholtz Institute Mainz in Germany. 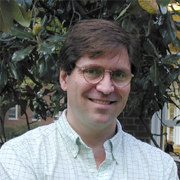 PAVI 14 is co-chaired by Paul Souder, professor of physics at Syracuse University and a longtime Skaneateles resident, and Kent Paschke, associate professor of physics at UVA. Past PAVI conferences, which have been held in Greece, Germany and France have addressed dozens of topics; this year’s will be no different. Presentations will explore such wide-ranging areas as atomic and Hadronic parity violation; the standard model of particle physics; the Higgs boson and neutrino particles; and quantum chromodynamics, to name a few.